How would you like to create a professional looking letterhead in a few minutes for a few cents? It is truly possible with the letterhead that is included right here on this page. Download and design a professional looking letterhead in a few easy steps. Create one business letterhead or as many letterheads as you desire. Let’s take a look at the features that are on this letterhead. At the top of the letterhead is an area to include a physical address, telephone number, and an email address. This area is fully customizable. Add extra information, if desired. Even streamline and use less information. Below that field is a section to enter a business name or to place a business logo to really give the letterhead a professional touch. Next, is the date field, after the date field is the salutation area. Change the salutation or keep the one already entered. 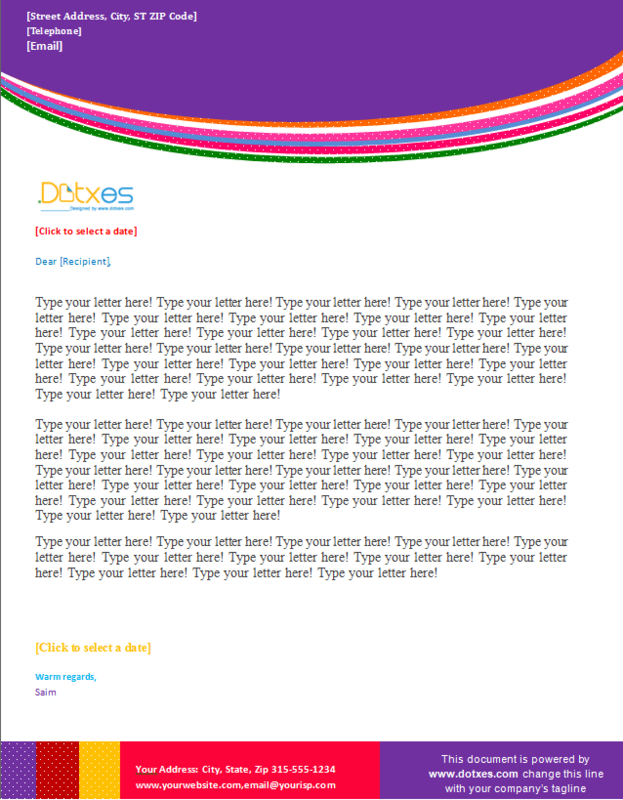 The body of the letter is next and is divided into three paragraphs. Of course, you could add more paragraphs or only use one or two paragraphs. At the end of the template is a section to add a date, and closing signature. There are other fields at the end of the letter to include the company information. For example, name, address, telephone number, email, web address. This business letterhead template was created with Microsoft Word®. It is compatible with Microsoft Word® 2007 to 2013. All data is placed on one page. The template is fully customizable and free to download. Hi Dear Alaudeen, how can I help you today?